We thought you might like to get acquainted with the creature that helped itself to some of your peaches-and-cream sweet corn this summer: corn earworm. 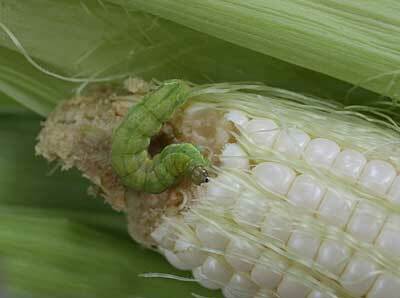 Your dining companion, the adolescent corn earworm. Not a little wormie anymore. 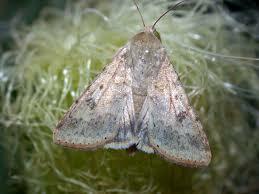 Each female moth lays up to 3,000 eggs, one at a time, and each egg becomes a little wormie fellow. Despite those numbers, you probably never saw more than one green caterpillar on any of your ears of corn because the biggest of the nasty buggers eat their little brothers and sisters before they settle into veganism, which they practice for two or three weeks before digging into the dirt to pupate themselves. 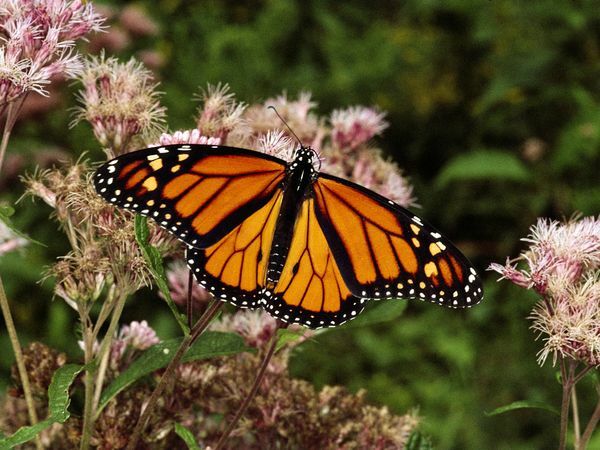 They grow wings underground, then they emerge, lay eggs, and the cycle starts again. In a Virginia growing season, that cycle repeats itself at least three times. Earworms aren’t the primary target of the genetic modification that causes most American corn to produce the bacterium B. thuringiensis subsp. kurstaki, also known as Bt; that technology is aimed at rootworms, which eat from below, not from above; but the protein Bt makes is bad for all lepidopteran caterpillars, so a lot of earworms do succumb to its charms. 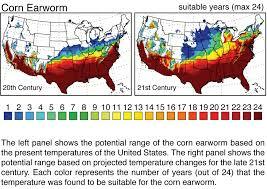 However, most conventional sweetcorn growers control earworm with applications of Mustang Max, Warrior, or Capture/Brigade, all of which are toxins belonging to the pyrethroid group. 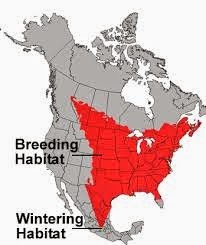 And there’s the rub: when every female lays thousands of eggs, and three or four generations of females lay their thousands of eggs every summer, it doesn’t take long for the gene pool to change. It seems better in the long run to share a little of our corn with worms. Imagine this: your Tesla’s running low on power so before crossing the mountain you stop in Bluemont to top off your battery at the only public charging station between Leesburg and Winchester, which is attached to a building that began its life as a school for the children of Loudoun County’s recently-freed slaves, and which then spent 50 years as a US Post Office, and which is now the headquarters of Independent Solar Solutions; and while the photovoltaic panels on that building are polarizing the electrons in your battery pack, you ask yourself this question: how did Bluemont village become the nexus where historic preservation meets sustainable energy? The answer, believe it or not, is soccer. Two months later, they did exactly that. As in, Oh, that’s too bad. I might have bought the place without that glaucous slab of wasted wishful thinking on the roof. Hogan and Eckart believe that one reason there isn’t much solar power in Loudoun County at the moment is that people don’t see it, so they don’t think about it — or if they do, they envision something incompatible with bucolic pastureland and historic architecture, which are the things that make a lot of people want to live in Western Loudoun. ISS technicians working on a rural installation. 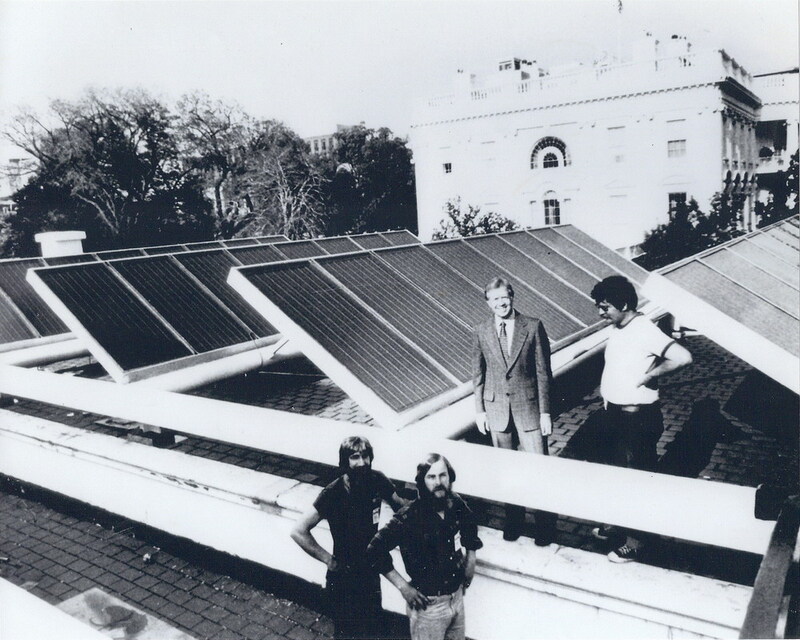 But technology has changed a lot since Jimmy Carter put solar panels on the roof of the White House — and Ronald Reagan took them off, because the little bit of power they produced wasn’t worth the eyesore they created. Modern panels are slimmer, sleeker, dressier, and that blueish color you see in the eyes of old blind dogs is gone. To show that photovoltaic panels can actually enhance the look of rural properties, Hogan had several installed on the roof of his barn, which is right on Snickersville Turnpike. He says people stop to admire them all the time. And the road to achieving that goal goes through Great Country Farms. Independent Solar Solutions will begin installing 52 solar panels on the roof of the farm store next week, enough photovoltaic technology to generate 70% of the electricity required to heat, cool, and illuminate that large building, and to refrigerate its walk-in cooler. That’s a lot of power. And when they finish that job, they’ll put 36 panels on the roof of the Zurschmeide’s house. 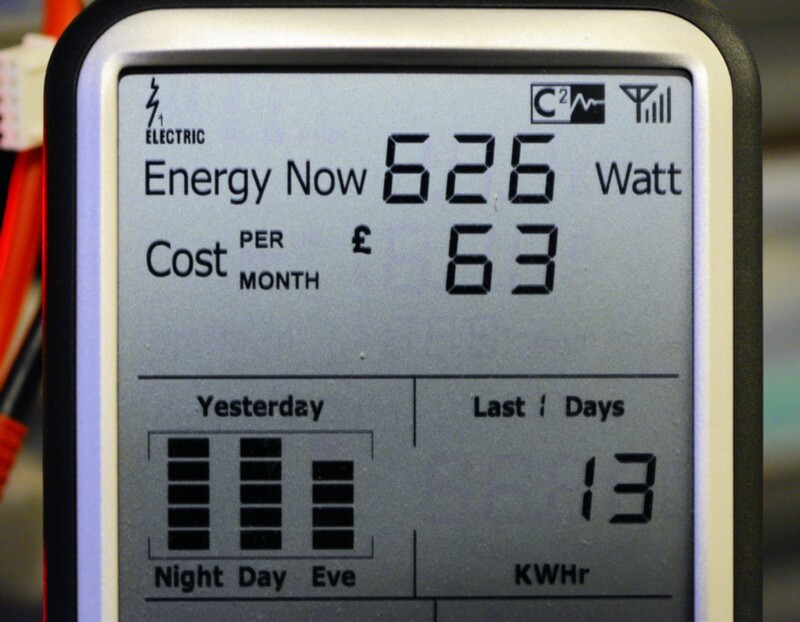 At the same time, they’ll launch a homepage that will monitor the amount of electricity generated by the installation over the course of a year, a month, a day, or at any given moment, along with the total wattage generated since the installation came online. They’ll set up a video display inside the store so visitors can watch the farm’s electric meter spin in real time, and learn about contemporary solar power. 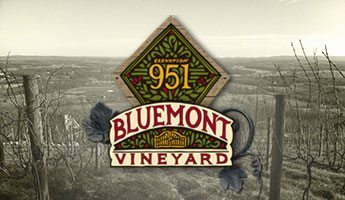 “We see it as the latest attraction at Great Country Farms,” said Josh McConnell, the firm’s chief technician and CEO. To show people how historic buildings can be retrofitted for energy efficiency and solar power, Eckart and McConnell are remodeling the old Post Office at the intersection of Snickersville Turnpike and Railroad Street in Bluemont. The building will serve as the company’s headquarters and show room, with a full range of solar products on display. And, yes, there’ll be a charging station for your Tesla. 3e+10. That’s the number my calculator gave me when I tried to figure out how many flowers Bill Bundy’s bees might pollenate each day. I don’t know what 3e+10 means. 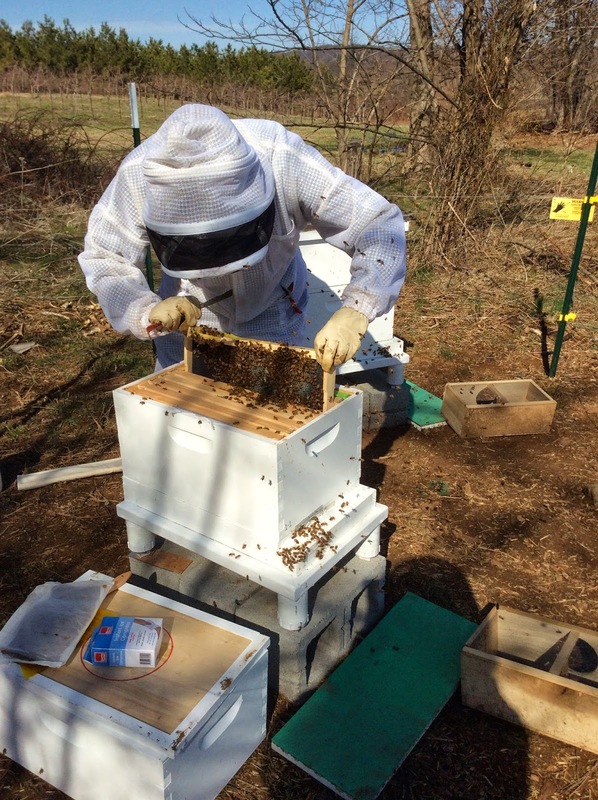 Bundy tends 100 bee hives, which are widely distributed throughout western Loudoun and eastern Clarke counties. 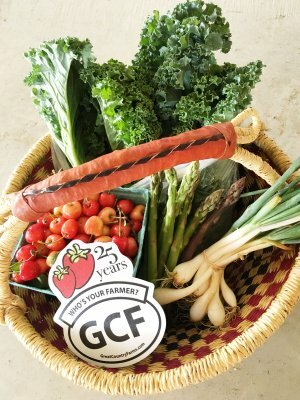 Eight of them are here at Great Country Farms, and a dozen more are across the Shenandoah River on the Cool Spring Farm fields where we raise a lot of our vegetables. 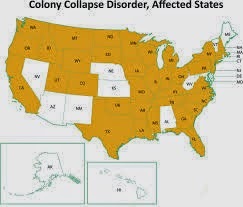 At this time of year, the population of each hive is about 60,000 bees, Bundy says, and each of them might visit as many as 5,000 flowers per day, according to the website Wonderopolis. If you run those numbers, you get something like this: a hundred hives times sixty-thousand bees equals six million pollinators, each of which might crawl in and out of five thousand flowers a day. I had hoped to translate those numbers directly into strawberries — a number of strawberries that can only be written abstractly — but it turns out that strawberries can pollenate themselves, to some extent, because each blossom contains both male and female organs, so wind and gravity will transfer enough pollen to turn many blossoms into fruit. 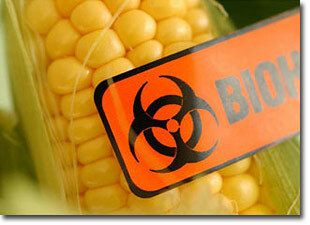 If you want a bumper crop, however, you need bees. 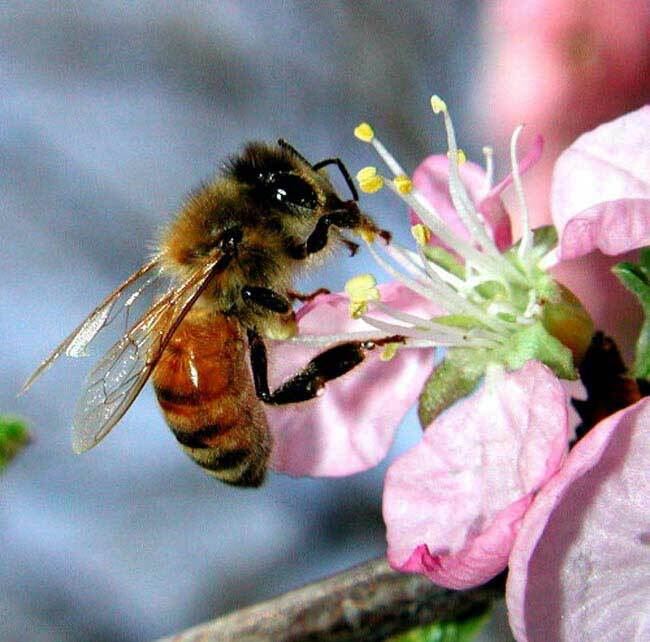 And some crops won’t come in at all without bees: apples, apricots, cherries, nectarines, peaches, plums, blueberries, raspberries, melons, pumpkins, squash, zucchini — all of those rely on insect pollinators, the most effective of which is the honey bee. Bundy checks bees at Great Country Farms. raise sheep and make yarn, so in 1996 they bought a small farm in what was then still rural Loudoun County. The farm next door, it so happened, was managed by a guy named Billy Davis, who was one of the founders of theLoudoun Beekeepers Association, which offers bee-keeping courses and a wealth of information about every aspect of the craft. The class meets two hours a week for six weeks, and it covers essential information for novices, including equipment, woodenware, bee biology, seasonality, plants, nectar sources, pests, and diseases that might effect a colony of bees. Todd Woody, writing for the website Quartz.com, reports that sixty percent of the honeybees alive in America today have to be trucked to California’s Central Valley to pollenate just one crop, almonds, which don’t produce at all without the help of bees. 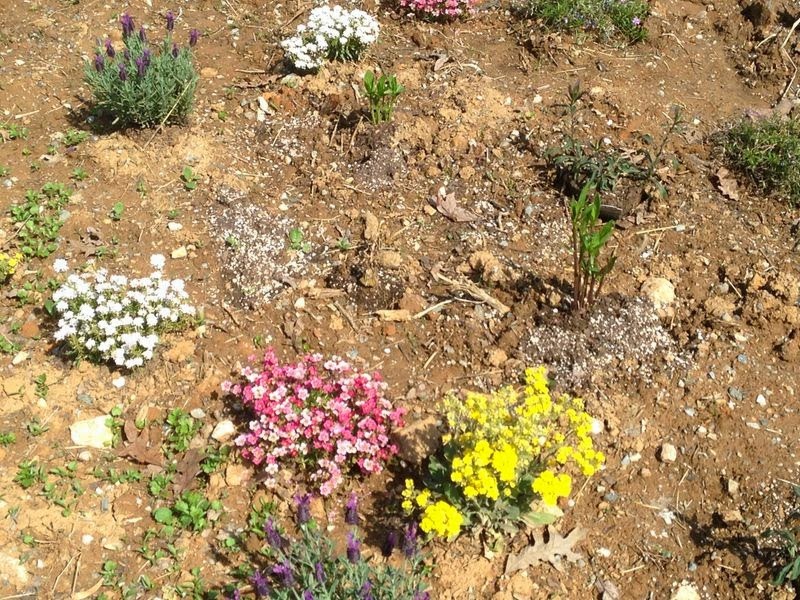 The problem seems to be that flowers are absorbing fungicides, pesticides, and other chemicals, and they’re passing them on to the bees that eat the flowers’ nectar and feed the flowers’ pollen to their young. Those chemicals in turn seem to weaken a bee’s resistance to a parasite called nosema ceranae, which can decimate entire hives of bees with compromised immunities. Bundy’s response to the problem isn’t hyperbolic, it’s holistic: he initiates fifty to sixty people every year into the fellowship of bee husbandry, and he creates twenty-five to thirty new bee colonies every year and sells them to new keepers, many of whom maintain their hives in this region. He also produces up to two tons of honey every year, some of which we sell in the farm store. On Saturday, May 17, Bundy will bring a honey extractor to the store and show us how that process works. Come and see.